How to do the Victoria Fringe Festival: Going Japanese? 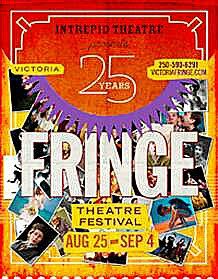 The Victoria Fringe Festival has grown and so has my waistline. With this event celebrating its 25th year, I knew this was one party I couldn’t miss. When this event has regular venues that remain consistent every year, one thing I will often do his hit familiar dining spots to satisfy my appetite. Fast food does not always mean hitting burger joint. 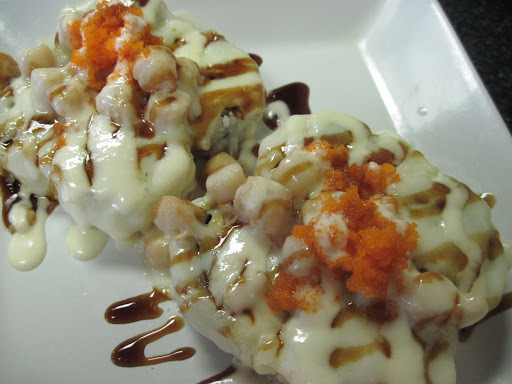 Maki Rolls are considered fast food in Japan, and while there’s no option for Takoyaki here in Victoria, there are a few establishments to get a quick bite in before a show. When the Metro Studio, St. Andrews (Downtown Victoria) and Langham Court Theatre (Oak Bay) are very close by, there’s a few places nearby to get a snack in. In Gordon Head, where St. Michael’s Richmond Campus lay, there’s even Fujiya’s Grocery. This place is well-known for churning out meals by the truck-load. They close at 7pm. Herein contains my picks for folks looking for a bit of Nippon for their Fringe show for this year and beyond, as these operations show no sign of closing. I needed a quick bite, and being the absolute connoisseur of sushi, I grabbed their spicy tuna roll to nibble on while I waited in line for Tara Firm and the Lunar War Chronicles. I can’t say I liked this particular roll; where’s the fish? Where’s the rice? The sauce they used drowned out the other flavours. It was overpowering. I really liked this operation in the first few years; this store was riding on the success of Fujiya Grocery Store’s sushi sales by catering to the culture club and those with fat pocketbooks. Rich is right, because for 8 pieces at $6.95 or more (today’s price), this isn’t a place I’d hit regularly. I can get the same at Fujiya for about $2 less. Going to Futaba is great if you dine-in, but when doing certain kinds of sushi, what seashell lovers find here will be a roll of a dice. 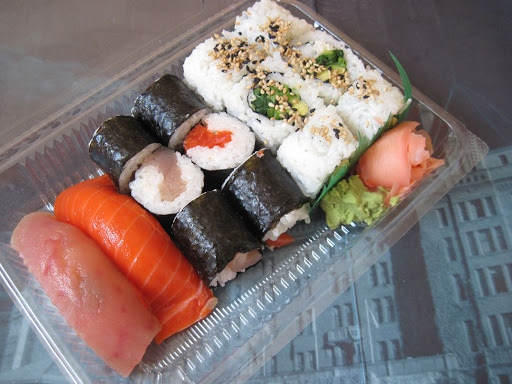 The visit I made during Fringe week was take-out, and I bought their maki bento box ($8.95). I might’ve received my delicious salmon and tuna in a wooden box, but on take-out, the plastic container is to be expected. What’s surprising, however, was the extras I ordered. The scallops reeked and I nearly fell backwards from the smell. In the future, the chefs should be more careful in what they consider as still palatable. I found problems with their scallops. When considering my visits here over the years, their standards were very good, and I had no problem with any of their nigiri offerings. They could bring balance to the force it since they don’t overpower the fish with a huge bed of rice. With the shellfish, I have to wonder what happened? I also have to question the management. There’s no website anymore, and I don’t want draw the wrong conclusions. The waitresses from years ago were, as I recall, more attentive, but this time the people working the till seemed inattentive. I had to give this restaurant another chance before going to see the Canterbury Cocktails. I saw the same two waitresses on another night and they were hard at work. After I mentioned I had show in 45 minutes, the service was fast. They didn’t give me the usual complimentary cup of tea to start with and after my meal arrived, they asked if I wanted anything else. I asked about that drink and they gave me a cup. When I paid the bill, I was surprised to find that I was charged for it. I have to wonder why there’s a sudden switch to having to pay for green tea. Another restaurant did that, and I think I’ll just have to bring my drink in next time or my own bags. They can’t charge for hot water, and if they ask why I’m bringing a refreshment from outside, I’ll tell them why. I wasn’t suspicious about the cost while I enjoyed my bowl of Chicken Udon Soup ($9.95). The large bowl was piping hot and it was perfect to warm me up on a cold Victoria night. I could detect a smoky flavour in the chicken, and the noodles were nice and soft. The meal certainly kept me warm for the night, but I’m going to be more careful in what I like to order here. I decided to have dinner in Oak Bay, before going to see Sizzle! The Musical, and hit upon the other sushi diner that’s off the strip. There’s two establishments that I’m aware of, and if I was to make comparisons, I’d have to praise this operation for its new fusion innovations in the menu. I sampled more of the “cooked” side of the Japanese cuisine in their sushi, and I have to say: I’ll stick with the classic form instead. As delightful as the dishes were, I found myself wondering which type of makis do I like more. The Calimari Roll ($5.50) good, but not super exceptional. The warmth of the squid was delightful, but I hardly found any crisp. There wasn’t much colour to this dish either, and the ratio of squid to rice certainly put this mini appetizer in the favourable department. Everything about how the rice was prepared was exquisite, but I wouldn’t say très bon. In a misguided attempt to see if I can be blown away, that Angel’s Kiss ($9.95) felt like I was making love to a whale’s tongue. I could grow to like this roll, but I think it should be called Mermaid’s Kiss or the Orca instead. I liked the warm flavours, but that’s the problem. Everything in this roll was warm. Where’s the contrast? Where’s the ecstasy? This was one roll that challenged me. There was too much mozzarella. The next time I’m here, I’ll have to either check out the other operation that’s out in Saanich or simply go traditional. Among tourists and other locals, this operation is allegedly very good. This entry was posted in Food, Reviews, Your Island Guide and tagged Best of, Japanese, Sushi, Take Out / Take Away, Victoria Fringe Festival. Bookmark the permalink. That's weird in how http://www.futaba.ca jumps to an empty 'Welcome' page. Thanks for pointing that out. Hopefully the webmaster will correct this technical oversight.